Software-as-a-service, or SaaS, has transformed the IT industry. Instead of installing local copies of software programs on in-house computers, businesses buy subscriptions to software that exists in the cloud. Employees can access the software from any internet-connected device, and companies don’t have to buy new, expensive licenses when they want to upgrade their systems. 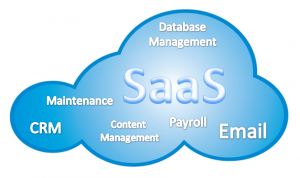 For everyone from the largest companies to single individuals, SaaS offers several enticing benefits. Software licenses for major programs can cost thousands of dollars. Many businesses prefer SaaS applications because they can pay a monthly subscription fee instead of a hefty, one-time payment. Without SaaS, even larger enterprises can’t always afford major upgrades, so they resign themselves to fighting with outdated software, which results in dwindling productivity. Additionally, companies rely on so many applications, databases, and other IT infrastructures that they often need middleware solutions for agility and efficiency. Business owners want to access their company systems on mobile devices, for instance, and they want to integrate on-premises software with SaaS solutions. Instead of hiring someone to create a custom solution, businesses can buy subscriptions to middleware. The Emerging Future estimates that technology will become 32 times more advanced in just five years. Using the old software licensing model, businesses find themselves lagging behind the competition because there’s never room in the budget to upgrade two or three times every decade. SaaS solutions include unlimited and automatic upgrades. In other words, when the provider updates the system, those updates populate across all customers’ accounts. You don’t have to bring in an IT expert to manually install the upgrade, and best of all, you don’t have to pay extra for the improved system. Businesses need the latest technology to remain relevant. 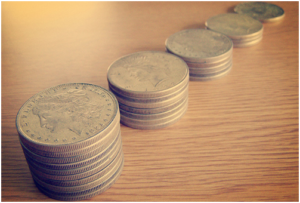 Furthermore, outdated technology can result in several hidden costs. Older programs prove less secure than their modern counterparts, and a security breach could cost your company thousands of dollars. Unfortunately, companies can also lose valuable data when they upgrade or switch to a new system, which makes SaaS solutions far less dangerous. When SaaS first debuted, it didn’t offer many personalization options. Today, however, the most advanced cloud software programs allow companies to customize their systems to fit their specific needs. Instead of building a custom solution from scratch, businesses can adapt an existing architecture, saving time and money. Essentially, one application or software program can look and function differently for every user. Since your business has unique needs, you might want to upgrade to SaaS so you can take advantage of its customization options, especially if your existing infrastructure has become outdated. Many people mistakenly believe that SaaS and hosted solutions benefit only small and medium-sized businesses (SMBs). However, capable enterprise solutions exist, many of which outpace their licensed counterparts. Enterprises can reduce their IT costs by switching to SaaS, and they don’t have to give up any functionality or security in the process. That’s why, in an Oracle OpenWorld 2014 briefing, Oracle CEO Mark Hurd emphasized that both SMBs and big businesses need agile solutions that don’t deplete the IT budget. Hurd also noted that SaaS offers the most compatible solution for the Internet of Things (IoT). From machine-to-machine communication to business analytics, companies need more data than ever. Hurd said, “We’re focused on going where the customers are going and where we think IT is headed.” As experts in the SaaS industry develop stronger, leaner, and more secure solutions, even the largest businesses will likely transition from their on-premises software. High adoption rates and improved compatibility have made SaaS even more attractive for businesses of all sizes. You might want to retain some of your localized applications, for instance, but you don’t have to worry as long as your on-premises software remains compatible with your cloud-based software. As more companies adopt the SaaS model, integration and communication become more feasible. You can maintain relationships with vendors, customers, and other associates without worrying about software compatibility, and you might find that many of your business associates use the same solutions. The cloud allows businesses and individuals to access information remotely, thanks to cloud storage. SaaS programs are accessed via the cloud, and since most businesses already use cloud storage, adopting an SaaS program doesn’t take much of an adjustment period. Additionally, companies have become increasingly reliant on mobile devices. Employees work from home, using their laptops or tablets to complete their tasks, and they read their email on their smartphones. Since SaaS programs typically work with any internet-connected device, users can continue to work remotely and while on the road. When you subscribe to SaaS, your provider becomes responsible for issues like data security and server uptime. You don’t have to troubleshoot these issues in-house, which means you can focus on what you do best: building your business. Furthermore, your employees might not experience as many glitches and delays as they complete their daily tasks. SaaS has become increasingly secure and sophisticated. Many companies guarantee a certain uptime percentage, so you don’t have to worry about going offline at a critical moment. When you run your own customized platforms, you have to build, maintain, and troubleshoot your own infrastructure. SaaS eliminates these frustrations. The infrastructure exists off-site, so you can save both digital and physical space in the office. Plus, SaaS comes with support, migration assistance, and other services that allow you to strip down your IT department. Instead of keeping dozens of specialists on the payroll, you can devote your budget to other initiatives that help you generate revenue. While SaaS might seem like a new solution, it has actually existed for decades. Now that it’s been proven to last through many generations of information technology, companies have begun to adopt it at a faster rate. If you want to stay ahead of the competition and remain relevant to your customers, consider switching to an SaaS solution for increased productivity and better functionality.